Coca-Cola Beverages Africa (CCBA) is the eighth largest Coca-Cola bottling partner worldwide and the biggest in Africa, serving approximately 40% of Coca-Cola beverages on the continent. What is our production capacity? CCBA produces more than 51 million hectolitres of still and sparkling drinks per year. We serve 12 countries in sub-Saharan Africa including South Africa, Kenya, Ethiopia, Mozambique, Tanzania, Uganda, Namibia, Mayotte, Comoros, Ghana , Botswana and Zambia. CCBA’s headquarters are in Port Elizabeth and the Coca-Cola Beverages South Africa (CCBSA) headquarters are in Johannesburg, underlining our commitment and confidence in the largest market we serve. How many plants do we have? 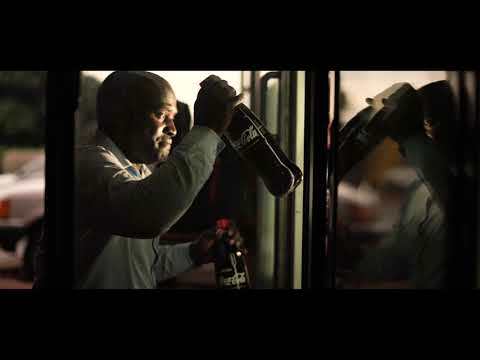 We have more than 30 bottling and distribution plants serving over 600,000 outlets across Africa. How many employees do we have? How many brands do we produce? CCBA produces more than 40 still and sparkling brands including Coca-Cola, Coca-Cola Light & Zero, Sprite & Sprite Zero, Appletiser, Tab, Powerade, Valpré, Sparletta, Minute Maid and Glacéau vitaminwater amongst others. What is our business goal? CCBA aims to be the leading Coca-Cola bottler in Africa, delivering profitable and sustained growth through increased availability and access to Coca-Cola beverages across Southern and East Africa. As the leading Pan African bottler we are pursuing an ambitious growth strategy that is aligned with The Coca-Cola Company’s 2020 Vision and will be supported through investment in manufacturing, sales, distribution and marketing. Employees are at the heart of our business. We invest in their growth and development to ensure that they are empowered and their skills and capabilities are continuously enhanced. What is our approach to customer service? CCBA strives to be a partner of choice and we believe that our customers should have profitable and growing businesses. Delivering efficiently and on time to our customers in diverse trade categories, from spaza shops to supermarkets, is central to our business philosophy. We pride ourselves on being able to deliver to all customers, regardless of stock quantity, delivery times and frequency. We are focused on growing our existing customer base and creating jobs in the process as we strive to deliver our promise of quality service throughout the value chain. What are our sustainability priorities? How do we serve our communities? We are committed to doing business ethically, respecting all relevant codes and regulations applicable to our industry, sphere of business and societal influence. We consider this vital to winning and maintaining the trust and respect of all our customers and stakeholders. We work hard to maintain excellent partnerships with all who support our business. CCBA aspires to work in the best interests of our customers, consumers and communities where we do business. What about growing the economy and job creation? CCBA is committed to creating economic growth in each of the countries in which we trade. This we do by creating jobs and trading opportunities, as well by innovations in our supply chain and our business more generally. We invest in communities to create shared value and give our employees every opportunity to be trained and developed to their full potential. With a strong focus on enterprise development, we believe this investment in the future is key to the continued economic transformation of the continent.